Thank you for your interest in participating in the LinkResearchTools GmbH (“LRT”, “we”, “us”, or “our”) Certification Program. Please read the following Terms and Conditions (“T&C”) carefully. We appreciate our certified individuals and want you (“you”) to succeed in your tasks. LRT sets a purpose to serve our clients and you with 100% integrity and compliance with the law. As a certified individual by LRT, we expect you to conduct yourself with utmost care and professionalism, thus, follow these terms T&C at all time. Naturally, the purpose of these Certification Program Terms and Conditions is to set forth the details about LRT´s Certification Program, among all its levels, as well as the various requirements that are expected from you. By registering to the LRT Certification Program, you consent to be bound by these Certification Program T&C. If you wish not to be bound by these T&C, please do not register to the LRT Certification Program. By becoming a certified individual, from associate to agency, you agree to abide these Certification Program T&C, as well as the general Terms and Conditions as they appear on linkresearchtools.com and any other terms and conditions or policies that appear on the entire LinkResearchTools website. Take your time and read them all. 1.1. “LRT Certification Program” shall mean the certification program(s) described in this T&C. 1.2. “Program” shall mean the LRT Certification Program. 1.3. “LRT Certified Individual” shall mean an individual who has successfully passed the required examination(s), and met all certification requirements set by the applicable LRT Certification Program, maintains the certification by meeting any additional requirements and re-certification requirement by the LRT Certification Program, and is entitled to use the LRT Certification Signature(s) in accordance with this T&C. 1.4. “LRT Certification Signature” shall mean any of the certifications established by LRT under the LRT Certification Program that you may become authorized to use by passing one or more LRT Certified Examinations and complying with the requirements of the LRT Certification Program. LRT Certification Signatures include (but are not limited to): LRT Associate, LRT Certificate Professional, LRT Certified Expert, LRT Certified Agency. 1.5. “LRT Certification Examination” (“Exam”) shall mean any examination established by LRT that LRT Certification Program candidates or LRT Certification Individuals must satisfactorily pass to attain or maintain certification respectively through the LRT Certification Program. 1.6. “LRT Certification Requirements” shall mean any one of the sets of requirements set by LRT that individual must meet to become a Certified Individual and must continue to meet to maintain the Certificate of the associated Certification Program. 2.2.2. Payment by Invoice: Some accounts can be paid for via invoicing with mutual agreement between the parties. There may be extra fees associated with invoiced accounts. If LRT agreed to enter into an invoicing relationship with the You, all invoices must be paid within 15 days. You agree that LRT may charge an interest fee of 1.5% of the invoice amount due, per month for past due amounts and that You are liable for attorneys’ fees and reasonable collection costs arising from our efforts to collect on past due amounts. Withhold state or federal income tax from LRT’s payments. Withhold any other kind of taxes applicable in your jurisdiction that would deduct from LRT’s payments. Our policy states no refunds. We are not obligated to provide you with a refund at any time. If you choose to cancel your account during the Subscription Period, you will not be refunded in whole or in part. In case you have enrolled to the Certified Professional Program and you are entitled to transfer your enrollment to a different person, however, this person must also fully meet the requirements to take part in the Program. Digital / Electronic training materials (“the Material”) are a confirmed sale and are non-refundable. Each digital Material for sale in the LRT’s digital stores (like, but not limited to, Amazon, Udemy, cemper.academy, linkresearchtools.simplero.com, store.linkresearchtools.com) is a license to view the our material, which includes online streaming video tutorials and coaching demos and/or downloadable written content. Our Material are only available for instant streaming or instant download, and we cannot identify whether You viewed the Material once You purchased it. When purchasing any Material, You will be deemed to have viewed the Material. For this reason, all Material purchases are final and all fees non-refundable. If you cancel or reschedule a Program after being invoiced, you will be invoiced for the costs involved to participate in the Program, and access to the online learning platform will be terminated. For self-study certification, you may not cancel after you gain access to the online learning platform, and no refunds are offered. Subject to these T&C and your completion of and continued compliance with the applicable Certification Requirements, we grant you the limited right to use the name of the specific LRT Certification that you have received and any trademarks, service marks, service or trade names, logos, and other designations of LRT and its affiliates that we may make available to you in connection with these T&C or so long as such LRT Certification is valid or until revoked or terminated as set forth in these T&C. You may use the LRT Name only in accordance with the trademark use guidelines that we may give you or post on the LRT Certification Site from time to time. We may revoke your license, if any, to use any LRT trademark associated with the LRT Certification at any time by giving you written notice. At all times when you are holding yourself as the recipient of an LRT Certification, or at any time that you are providing offerings that relate to LRT or the services provided by LRT (“Services“), you will: (i) maintain your account in good standings (ii) conduct your activities in a professional and competent manner; (iii) comply with all applicable laws, regulations, and orders of any governmental or regulatory authority; (iv) promote LRT and the Services in a manner that maintains the good name and reputation of both LRT and the Services; (v) not make any representations, warranties, or guarantees to third parties with respect to LRT or the specifications, features, or capabilities of any of the Services; (vi) not misrepresent or embellish your relationship with LRT; (vii) comply with all applicable terms and conditions of any agreement governing your own use of the Services; and (viii) not engage in any illegal, false or deceptive acts or practices. The followings are the different requirements set for each Certification Program offered by LRT. In order to participate in any of the programs, you must comply with all of the relevant requirements for each program. Upon successful completion of the Exam, and subject to these T&C, LRT grants You a personal, non-exclusive, non-transferable, revocable certification signature and the right of using the applicable certification signature with accordance only with the specific program that you completed. You may not use the certification signature in any way that: i) may be construed to establish an affiliation between LRT and any third parties other than You; or ii) negatively impacts LRT’s reputation or goodwill. LRT retains all rights, title, and interests in the certification signature. Nothing herein shall be construed to grant any other rights to You. You acknowledge that your certification signature will not be considered current unless You have successfully completed for either; (i) the applicable certification exam or (ii) any subsequent LRT specific Program requirements for your original certification signature. Depending on the course of certification you have completed, you might be required to pay an additional annual one-time fee to renew your certification signature. Certification signature upon successful completion of the certification exam is not in any way a warranty or guarantee of an individual’s abilities with regards to the LRT Service in general, and any representations made to the contrary by a certified individual are strictly prohibited. “LRT Confidential Information” includes all nonpublic information disclosed by us, our affiliates, business partners, Certification Exam Providers, or our or their respective employees, contractors or agents that is designated as confidential or that, given the nature of the information or circumstances surrounding its disclosure, reasonably should be understood to be confidential. You agree that the Certification Exam and any other materials that are provided to you in an oral, written, or any other form, in connection with the Program are LRT Confidential Information. You may not use, disclose, reproduce, copy, transmit, distribute, or make derivative works of any materials of the Program, other LRT Confidential Information, or any part thereof in whole or in part, in any form or by any means. LRT owns and retains all proprietary rights of the Program. The Program contains the copyrighted material, trademarks and other proprietary information of LRT. You will be required to provide personal information, which you hereby agree to provide, as a condition of participating in the Program. Such personal information will be collected prior to and throughout the duration of your participation in the Program, including, but not limited to, during registration, via the Exam, and self-service portals. This information will be used to process your certification, and for the purposes of facilitating and administering the Program and your participation thereto. You acknowledge and agree that your personal information may be shared internally within LRT, with your employer (if not LRT), with the entity paying for Your participation in the Program, and/or with the entity to which you are providing services. You will defend, indemnify, and hold harmless us, our affiliates and licensors, and each of their respective employees, contractors, officers, directors, and representatives from and against any claims, damages, losses, liabilities, costs, and expenses (including reasonable attorneys’ fees) arising out of or relating to any third party claim concerning: (i) your participation in the Program; (ii) your use of any LRT trademark in a manner not authorized by or consistent with these T&C; (iii) any representations, warranties, or guarantees you make to third parties with respect to LRT or the specifications, features, or capabilities of any of the Services; (iv) any misrepresentation or embellishment by you of your relationship with LRT; (v) your breach of these T&C or violation of applicable law; or (vi) a dispute between you and any third party. We may assume control of the defense and settlement of the claim at any time. You will comply with all rules and regulations applicable to the administration of the certification exam as set forth by LRT You will not engage in any misconduct in connection with the certification exam, including without limitation: (i) receiving or providing unauthorized assistance, or submitting work that is not your own; (ii) possession or use of unauthorized materials during any certification exam; (iii) falsifying your identity or identification documents, or misusing any testing identification number, username, or other credentials that have been provided to you; (iv) failing to adhere to any testing policy, procedure, or directions; (v) disclosing or disseminating the content of any certification exam; (vi) receiving or viewing the content of any certification exam that has been disclosed or disseminated in violation of these T&C; (vii) use of any LRT Trademarks in a manner not authorized by these T&C; or (viii) any other actions that we believe are inconsistent with the principles of the Program. If you do not pass a certification exam, you may retake such exam. While participating in the Program you will be required to perform some tasks and homework in your account that are subject to the approval of LRT. For that we will audit your account to ensure that you have performed successfully all the assigned tasks and are eligible for obtaining or maintaining your certification. In cases that our audit found that you have not performed your tasks to fit our standards you are entitled to a reaudit, however, for this reaudit you will need to pay an audit fee that will be announced to you in advance. You can apply for a reaudit as many times as you wish and agree to pay for each one of them. An agency account is subject to a timely audit. In order to ensure that the account is being used correctly and in good standing, we will perform an audit account every three (3) months. You hereby agree to cooperate with this audit and if we will approve the findings of this audit, your agency account will maintain its certification. In case that you have failed the audit, we have the right to revoke your certification and you have the right to ask for a reaudit at a fee. The Certification expired and was not renewed. Wrong advice to a client – in cases that we will receive a complaint from a client that you have provided this client with wrong advice and after investigating we found that the client was indeed offered a wrong advice we will revoke your certification and have the right to pursue further steps in case of damage to LRT’s reputation. Once you have lost your status and are not longer a certified individual you have no rights at all to make use of any marketing material, including but not limited to the certification signature, logos, badges, and other material that you were given access to under the Program, in any form at all. If case you have breached this conditions and made use of LRT’s marketing material you will agree and represent to pay a license fee of EUR 1000 for each occasion that you have used LRT’s marketing material. The term of these T&C will begin on the date that you have registered for the Certification Program, and will continue until terminated by either party or until all LRT’s certifications you hold are no longer valid. Each LRT certificate is valid for a period of 12 months following the date on which you successfully pass the applicable certification exam. Each of us can terminate our relationship by given the other party a 30-days written notice in advance. We may terminate our relationship with you at any time if you breach these T&C or any of LRT’s policies, or if you fail to meet any certification requirements. 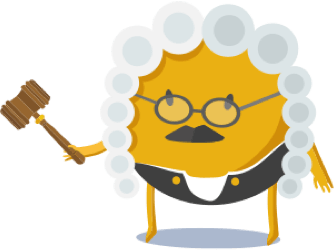 Upon any termination of these T&C, all your rights under these T&C immediately terminate, all LRT Certifications you hold will immediately become invalid, you will immediately cease to hold yourself out as holding of any LRT Certification, and you will immediately cease all use of the LRT trademarks and marketing Material. Sections 6, 7, 8, 9, 16,17, and 18 will continue to apply in accordance with their terms. THE PROGRAM, INCLUDING BUT NOT LIMITED TO THE TESTING MATERIALS, IS PROVIDED “AS IS.” WE AND OUR AFFILIATES, AND LICENSORS PROVIDERS MAKE NO REPRESENTATIONS OR WARRANTIES OF ANY KIND, WHETHER EXPRESS, IMPLIED, STATUTORY OR OTHERWISE REGARDING THE PROGRAM, TESTING MATERIALS, CERTIFICATION EXAMS, OR THESE TERMS AND CONDITIONS. EXCEPT TO THE EXTENT PROHIBITED BY LAW, WE AND OUR AFFILIATES, AND LICENSORS DISCLAIM ALL WARRANTIES, INCLUDING ANY IMPLIED WARRANTIES OF MERCHANTABILITY, SATISFACTORY QUALITY, FITNESS FOR A PARTICULAR PURPOSE, NON-INFRINGEMENT, OR QUIET ENJOYMENT, AND ANY WARRANTIES ARISING OUT OF ANY COURSE OF DEALING OR USAGE OF TRADE. WE AND OUR AFFILIATES, AND LICENSORS WILL NOT BE LIABLE TO YOU FOR ANY: (I) DIRECT DAMAGES; (II) LOSS OF PROFITS; (III) LOSS OF BUSINESS; (IV) LOSS OF ANTICIPATED SAVINGS; (V) DEPLETION OF GOODWILL AND SIMILAR LOSSES; (VI) INVESTMENTS, EXPENDITURES OR COMMITMENTS RELATED TO THE PROGRAM; OR (VII) INDIRECT, INCIDENTAL, SPECIAL, CONSEQUENTIAL, PURE ECONOMIC LOSS, COSTS, DAMAGES, EXPENSES OR EXEMPLARY DAMAGES, EVEN IF A PARTY HAS BEEN ADVISED OF THE POSSIBILITY OF SUCH DAMAGES. FURTHER, NEITHER WE NOR ANY OF OUR AFFILIATES, OR LICENSORS WILL BE RESPONSIBLE FOR ANY COMPENSATION, REIMBURSEMENT, OR DAMAGES ARISING IN CONNECTION WITH: (A) YOUR FAILURE TO ACHIEVE LRT CERTIFICATION OR OTHER INABILITY TO PARTICIPATE IN THE PROGRAM, INCLUDING AS A RESULT OF ANY (X) TERMINATION OR SUSPENSION OF THESE TERMS AND CONDITIONS, OR (Y) OUR MODIFICATION OR DISCONTINUATION OF ANY LRT CERTIFICATION, CERTIFICATION EXAM, OR ALL OF THE PROGRAM; OR (B) ANY INVESTMENTS, EXPENDITURES, OR COMMITMENTS BY YOU IN CONNECTION WITH THESE TERMS AND CONDITIONS OR YOUR USE OF OR ACCESS TO THE PROGRAM. We may from time to time change these T&C or any Policies, or change or discontinue any LRT Certification, the Program as a whole, or any aspect of it, including without limitation changing certification requirements, changing training or testing materials, changing passing score requirements, changing qualification tiers and titles, or changing or discontinuing Program benefits. We will notify you of changes by posting them on the LRT Certification Forum. You are responsible for checking the LRT Certification Forum regularly for changes. Changes will be effective as of the date such changes are posted. By continuing to participate in the Program, you agree to comply with the most current version of these T&C, the Policies and all additional requirements specified on the LRT Certification Forum. The Sole jurisdiction is Vienna, Austria. Solely Austrian rights, with the exception of international reference norms, shall be applied to the legal relationship between the you and us. The regulations of the UN Convention on Contracts for the International Sale of Goods (CISG) do not apply. A local and factual responsible Austrian court for the place of LRT’s business will be the agreed upon place of jurisdiction for all resulting conflicts between the Provider and the Client. The terms of these T&C shall not be construed to require either you or us to enter into or pursue any business relationship with one another. We both are independent contractors, and nothing contained in these T&C shall be deemed to constitute a partnership, joint venture, or any other joint undertaking between the parties. These T&C do not create any third party beneficiary rights in any individual or entity that is not a party to these T&C or otherwise explicitly mentioned herein. If any term or other provision of this agreement is determined to be invalid, illegal or incapable of being enforced by any rule or law, or public policy, all other conditions, and provisions of this agreement shall nevertheless remain in full force and effect so long as the economic or legal substance of the transactions contemplated hereby is not affected in any manner materially adverse to any party. Upon such determination that any term or other provision is invalid, illegal or incapable of being enforced, the parties hereto shall negotiate in good faith to modify this Agreement so as to effect the original intent of the parties as closely as possible in an acceptable manner to the end that transactions contemplated hereby are fulfilled to the extent possible. The failure by us to enforce any provision of these T&C will not constitute a present or future waiver of such provision nor limit our right to enforce such provision at a later time. All waivers by us must be in writing to be effective.